Dryfast is a particularly unique material in the diverse world of foam. 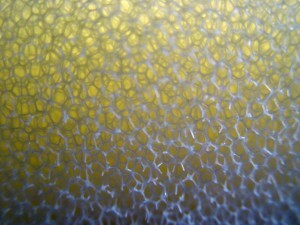 An open-cell foam, Dryfast is the most porous material of all varieties of cellularly-interconnected foams. If you placed a block of traditional polyurethane foam a few feet away and looked at it, you would struggle to see any of the tiny cells that make up its structure. Dryfast foam however, is almost fibrous in its structural makeup, with its cells visible even at a distance. Cells in traditional open-cell polyurethane foams are barely fractions of a millimeter in diameter, while depending on its design, Dryfast can feature cells at five millimeters or even larger depending on the formulation. The way Dryfast outdoor foam is created plays a major role in setting it apart from other materials in the polyurethane industry. Dryfast begins like any other foam, with cellular walls forming panes in what is often a 12-sided geometric figure. Once the basic form is created, one of two processes are applied to the material to create its uniquely wide-open structure. In one, it is put through a chemical process called quenching. In this method, foam passes through a bath of caustic fluid at set and monitored levels of strength, temperature and immersion duration. The foam is placed in the fluid long enough for it to break down the thin cell walls, also called windows, leaving the main fibrous-looking structure behind. These parts of the foam are called struts. After emerging, the material is rinsed, dried and ready for use. A thermal method is applied in the other way of creating Dryfast, known as zapping. The basic foam form is placed in a vacuum-sealed container, which is then pumped with a formulated mixture of reactive gasses. An ignition or spark is created in this vacuum-sealed space, which creates a fast-moving but controlled flame that passes through the foam almost instantaneously. The flame melts the thin windows, but is not present long enough to melt the struts as well. While both produce a reticulated foam, the two methods result in slightly different characteristics between the two materials. Quenching the foam eliminates fewer windows and only partially dissolves some of the thicker panes, resulting in a semi-jagged interior. This can retain debris better due to increased material volume, lending it to filtration applications. Zapping produces a cleaner structure, with the fire leaving cleaner struts, as they are essentially melted smooth. This kind of fast dry foam allows the greatest amount of air and fluid movement through the material. The Foam Factory’s Dryfast foams were created through the zapping process, with its smooth struts and nearly no windows left in the form. This reticulated foam has many uses, like the aforementioned filtration purposes, but can also be used in a manner much like its conventional foam relatives as comfort and support products. Because of this combination of form and function, Dryfast foam excels as outdoor chair cushions in a patio seat or for pool furniture, as well as in marine foam uses for a boat cushion or sun pad. Conventional foams are often considered to be spongy, and this is true both in terms of feel and performance. Foam can hold large amounts of water due to its inter-connected cells, with the capillary effect occurring because of their size. This isn’t always a good thing though, as foam retaining moisture can hasten its degradation as it rots and grows mold, mildew and bacteria. This is why waterlogged cushions are a worry of many boaters and why patio seats can have their cushions ruined by being forgotten outside during a single rainstorm. Dryfast foam thrives where these other materials would fail. With its porosity, water easily passes through, as does air, making for a cushioning material that will not retain water and quickly dries if it is moistened. The Foam Factory’s particular kind of Dryfast foam also touts antimicrobial features that help it further stand up to the effects of trapped moisture in the foam. This is vital, because while the foam is designed to easily dry, externalities can quickly affect this ability. Things like wet towels forgotten on a cushion or it being placed on a surface that doesn’t permit drying airflow can keep moisture from having a chance to evaporate. When this occurs, the antimicrobial makeup of Dryfast won’t allow the growth of irritants that can ruin your custom cushions or even a boat mattress if moisture makes its way there. Utilizing Dryfast also ensures cleaner cushions as well. In addition to not harboring irritants, these materials are much easier to clean when necessary. Traditional foams can trap dirt, dust and other particles, even if it is never exposed to moisture. Once these particles get within the catacombs of a polyurethane foam’s structure, you won’t be getting them out. With Dryfast, however, if you begin to notice them getting a little dirty, they are easily cleaned. Simply remove it from its covering (or use waterproof breathable outdoor fabrics like Phifertex or Sunbrella) and give the cushion a soaking rinse with the hose. The pressure and amount of water can force out the grit and dirt through the wide cells in a way rain cannot. Afterward, the cushion only needs to be placed outside or in a well-ventilated area. Drying should not take longer than a day if placed outside, so there is no issue with direct exposure to the sun to help dry the foam. Fans are useful for drying the cushions indoors. These water-resistant qualities make it perfect for wicker chair cushions as well as a settee cushion in an outdoor bench. The next time a job requires foam, remember that just like us, every type of foam is different. Because of this, there are very few applications at least one type won’t perform well in. If you require a material that can stand up to long-term outdoor use or last in a wet, marine environment, The Foam Factory’s Dryfast foam is that one special material made just for the job. We are looking for a 8 foot by 8 foot section of your dry fast foam. 2 4 by 8 foot would work great. With its open cell structure, is dry fast foam less firm? 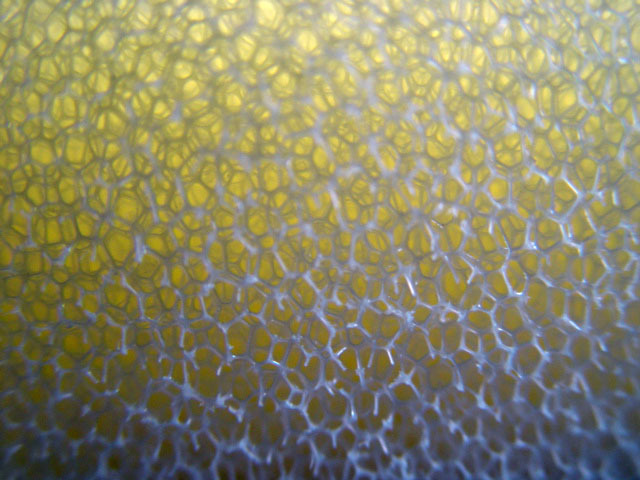 Cell structure does not relate to how soft or firm a particular foam will be. The dryfast foam we carry is considered firm to very firm at 60 ILD. How does this react with steam? I’m sure the gas can go through readily, but what about the water that forms from condensation? does it seep out with the steam? How quickly? 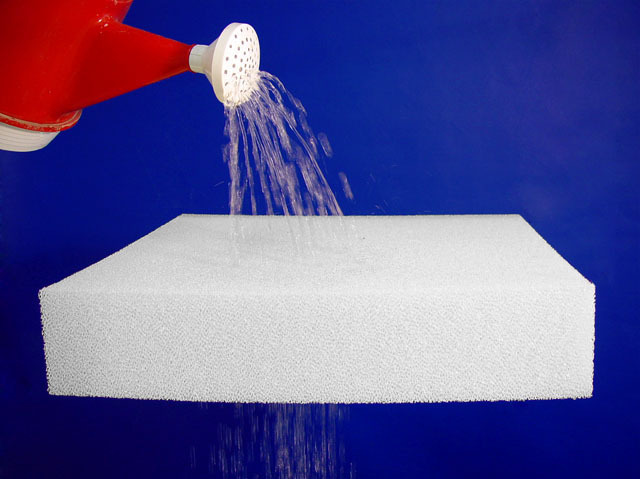 The foam can handle continuous steam under 150 degrees F. The foam will remain wet until the steam has been removed. The foam usually dries in a few hours at room temperature and moderate to low humidity. Hi, I would like to glue two pieces of this dryfast foam, because I need a very big piece. There will be tension on the foam. How would you connect these two pieces? Which kind of material would you use? Like glue with tape? We would suggest our 3m Super 77 spray adhesive for your application.